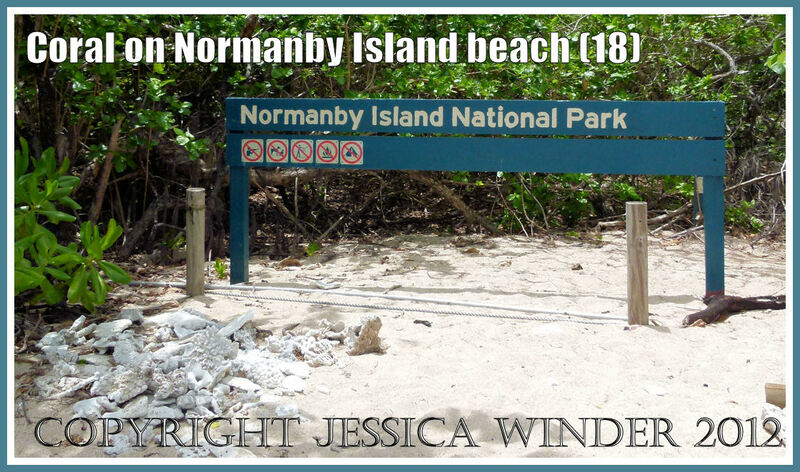 Normanby Island is one of the Frankland Island group off the coast of Queensland, Australia – opposite the Mulgrave River estuary. 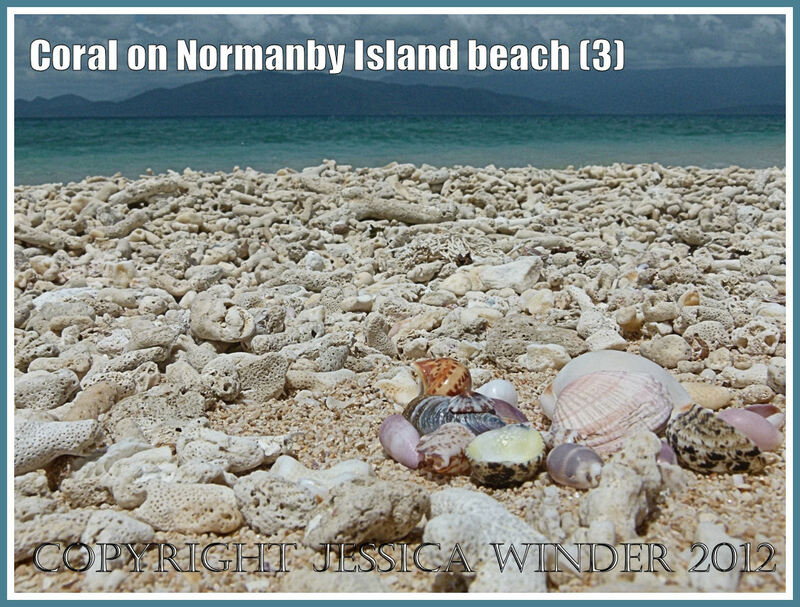 Unlike many of the cays and isles of the Great Barrier Reef, Normanby Island has a solid core of weathered metamorphic rock which represents the top of a coastal mountain range that has become submerged and separated from the mainland by a rise in sea level 6,000 years ago. 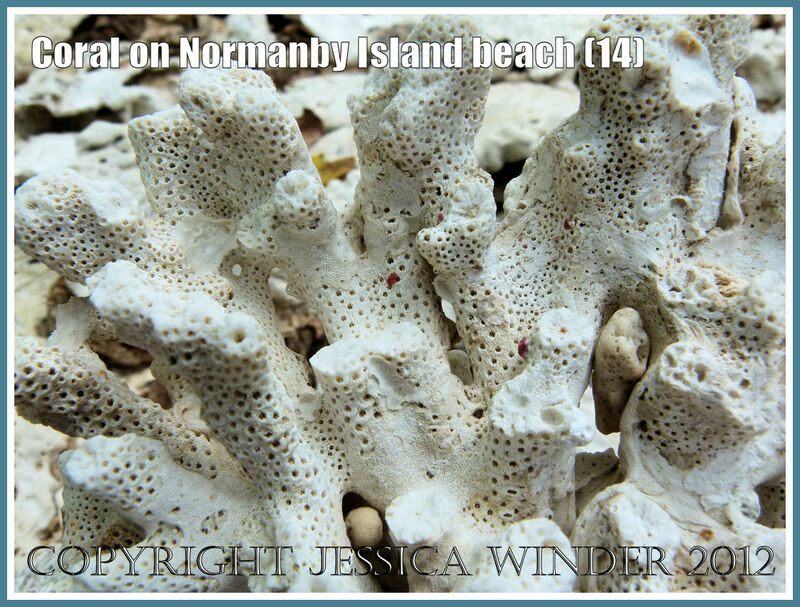 However, the island is surrounded by thriving populations of living corals visible through the clear azure blue waters. 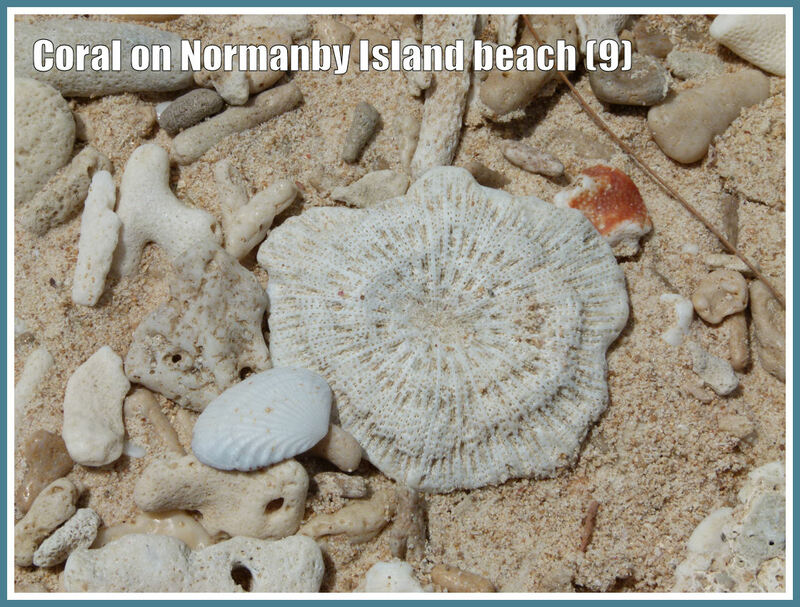 The beaches are mostly composed of coral fragments derived from the reefs with only a small portion of the beaches being soft coral sands. 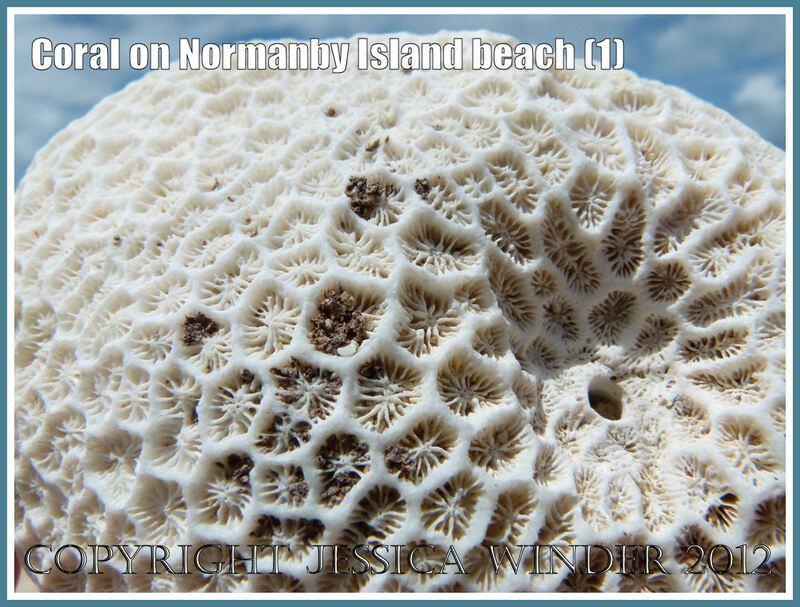 These pieces of coral are the bleached skeletons of the many colourful species that live off-shore. 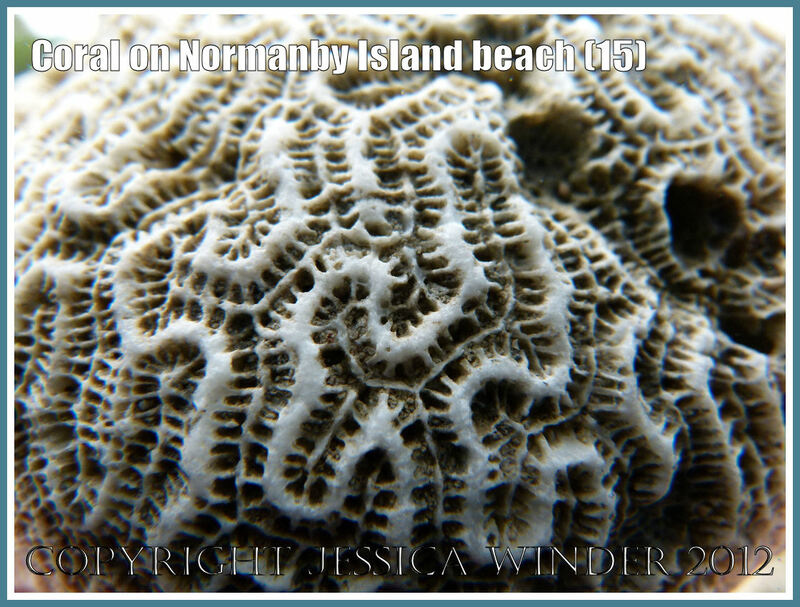 The photographs in this post show a selection of the many fascinating natural shapes and patterns in the larger pieces of coral that I found on the beach during an all too brief trip out to the island. It was a wonderful experience. 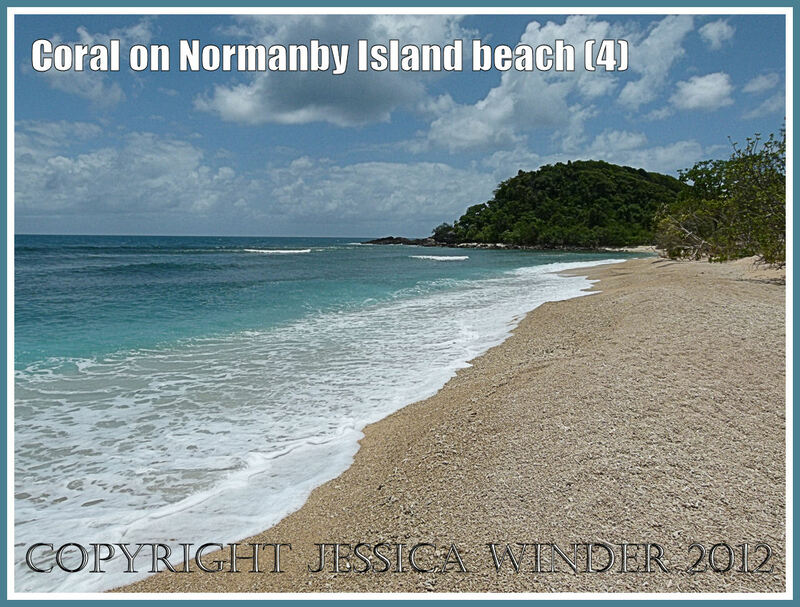 The short video clip below shows the waves crashing onto the coral shore – to share with readers a taste of this tropical island paradise. Perhaps, in the same way that slugs might be considered beautiful creatures whilst their sliminess is repellent? Precisely! 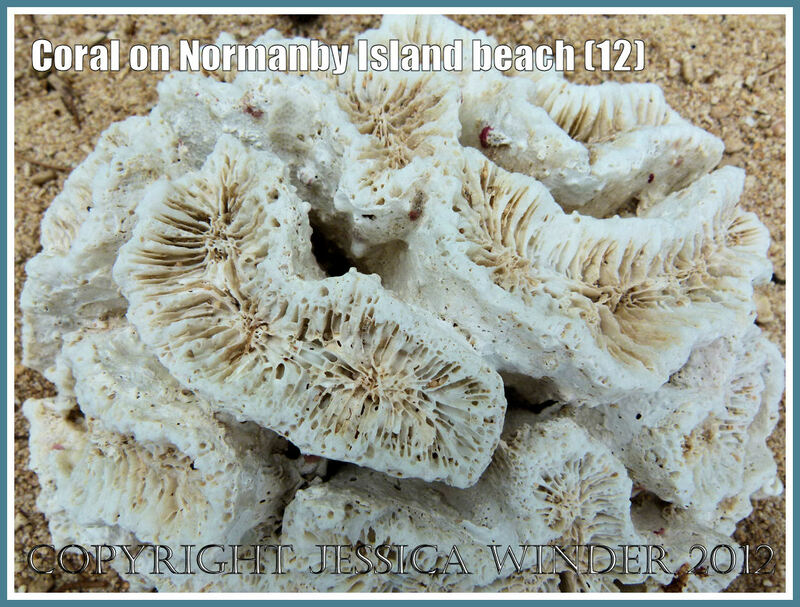 Though not liking slugs is probably more understandable than being wary of coral! OK. I’ll go for it! 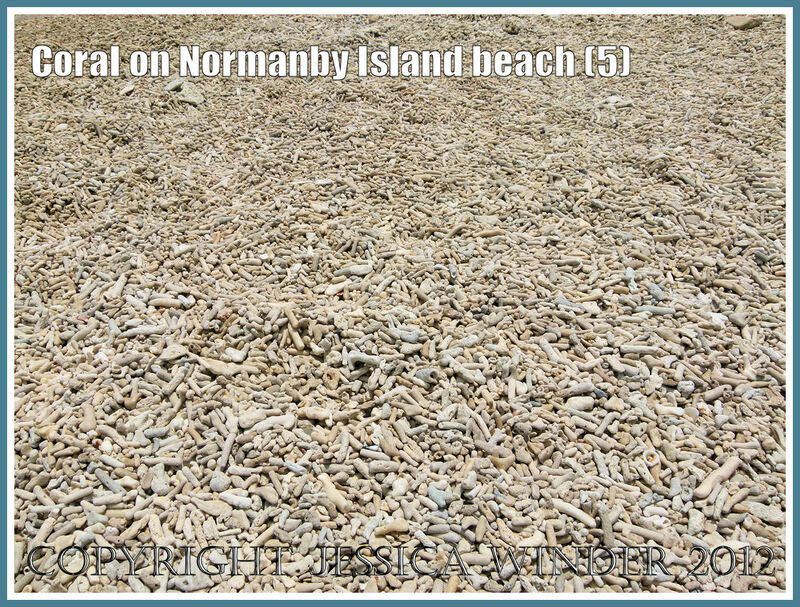 Why do you find coral beaches repellent? I’ve never met one in real life – and I’m sure I’d be pleased (and awe inspired) to find myself there. I think the slight drawing back is because the shapes remind me of brains,guts and maggots. 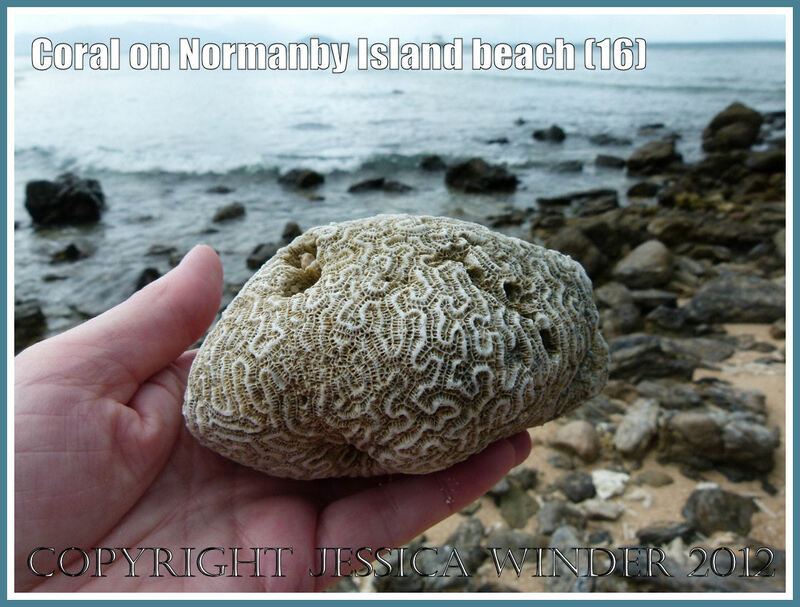 I found the coral skeletons on Normanby beach particularly interesting because they help me to understand what I am seeing when I look at coral fossils in limestone – I find a lot of fossil coral on the Gower Peninsula. 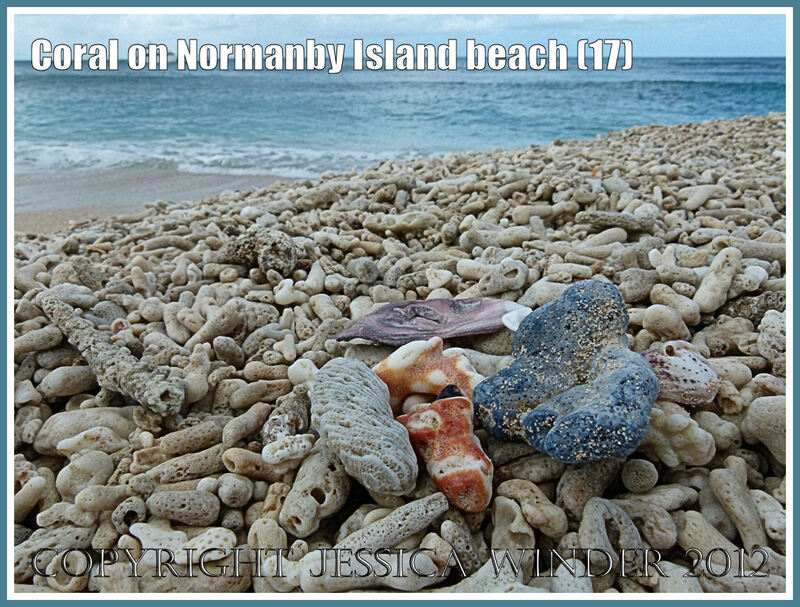 The only thing that I found a downside to a beach of coral pieces is that they are impossible to walk on – very sharp pieces get in your sandals all the time and it’s easy to cut yourself. Very very cool Jessica. Loved listening to the waves come in. 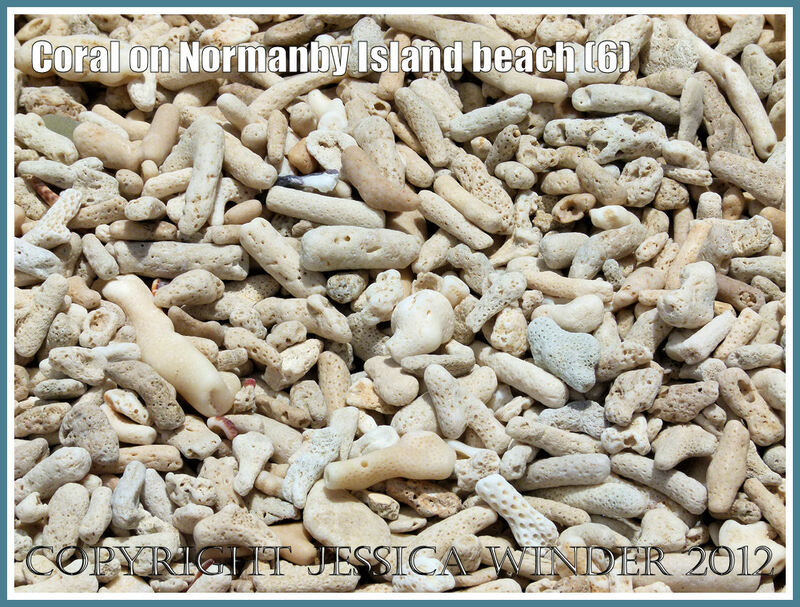 Each beach has its different sound. I would find such a place absolutely fascinating. Can you tell me anything more about number 7? Glad you liked the post. 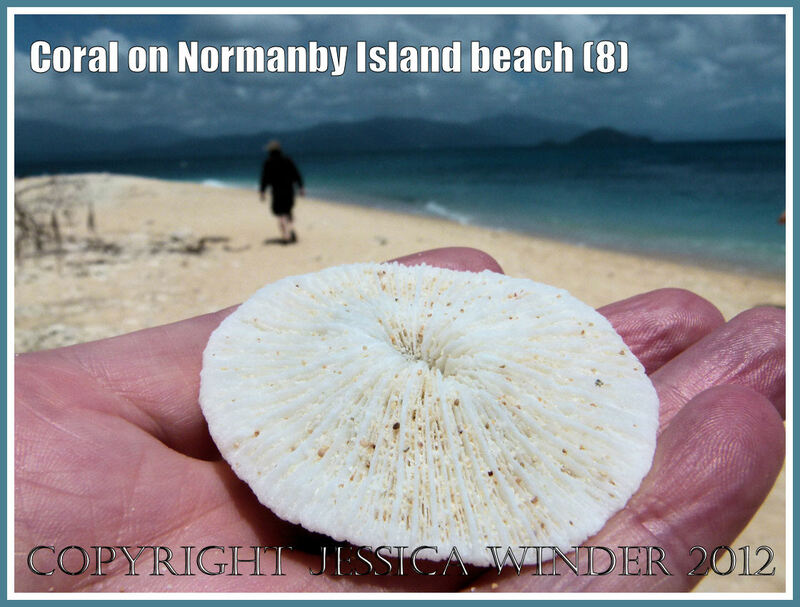 It was a wonderful experience being on Normanby Island last year. 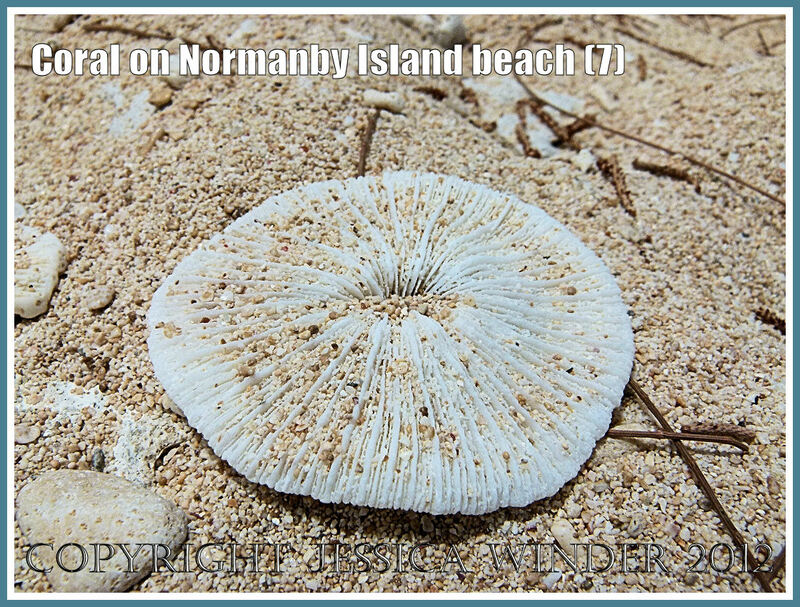 Photo number 7 is Fungia coral – presumably because the structure is reminiscent of the underside of a mushroom or toadstool. 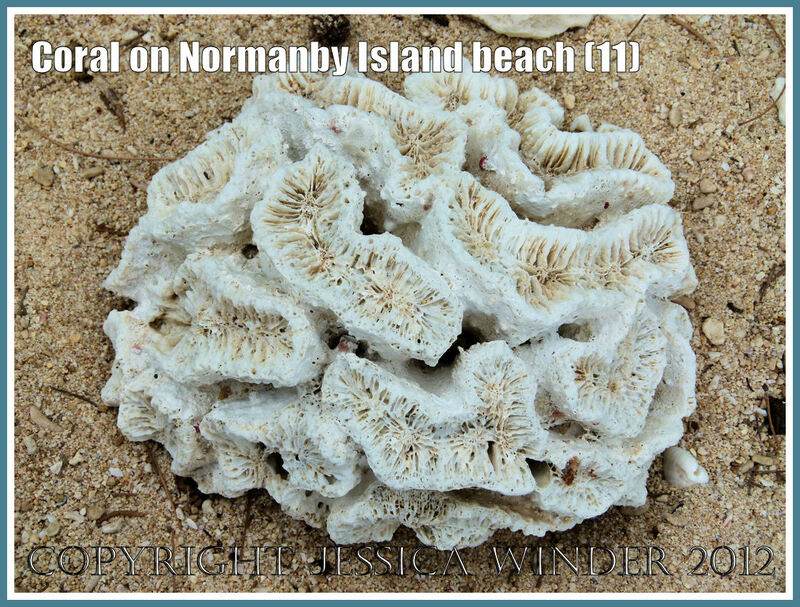 If you Google “Fungia Coral” you can find lots of images of the living animal and see how brightly coloured it can be. 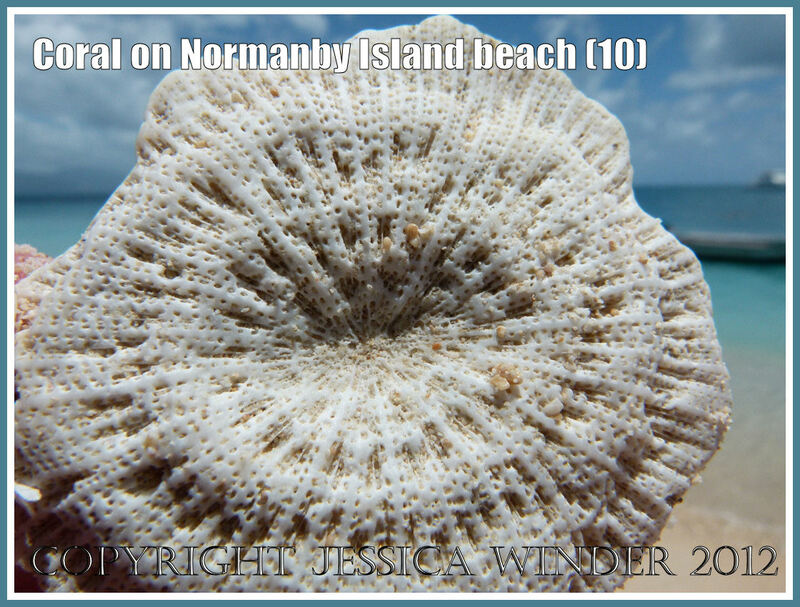 Jessica, I’m blown away by the awesome beauty of these creatures while they’re among the living. Who knew? Certainly not me! Thanks so much for adding that suggestion. 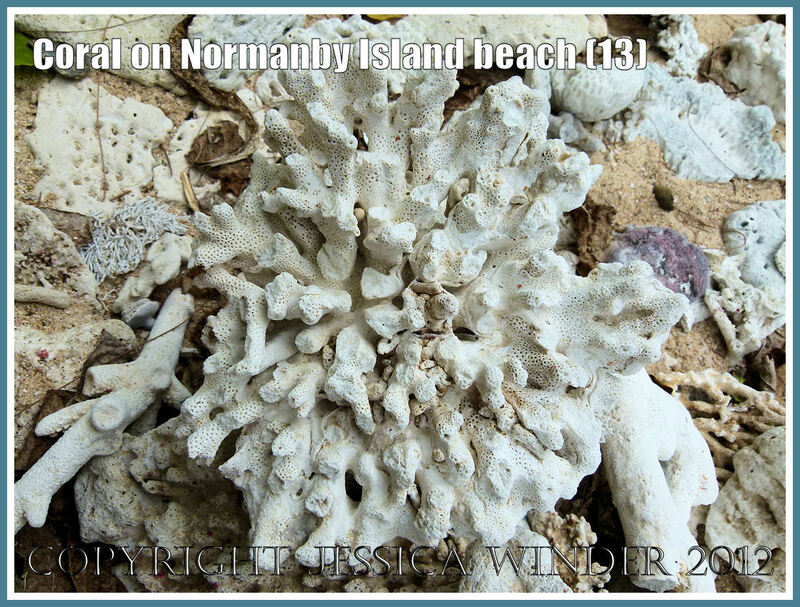 Wonderful pictures – thanks for sharing your trip to the island of coral. I would love to explore there. Thanks, Dustytoes. 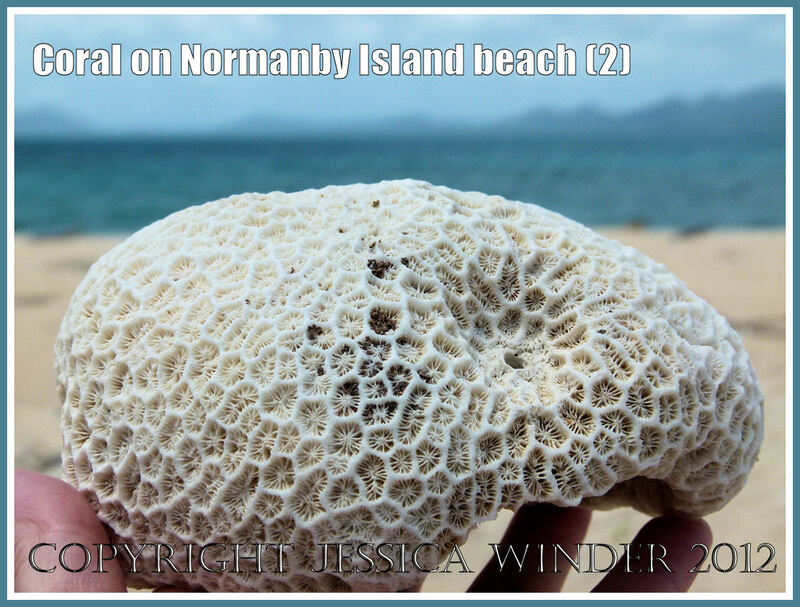 I enjoyed my brief visit to the island so much that I actually went back a second time – but there was still not enough time to explore as fully as I would have liked.